There is a new museum. It is for pizza lovers everywhere. It has popped-up in New York City. The city is arguably America's pizza capital. The Museum of Pizza is dedicated to all things cheese and sauce. But there's more to it than meets the tongue. "It's often that the simplest ideas are the best. 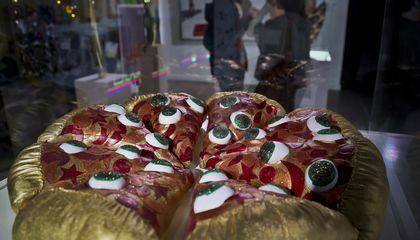 And we wanted to use pizza's ubiquitous appeal to get people through the door and looking at art and hearing about history in a different format." That's according to Alexandra Serio. She is Chief Content Officer at Nameless Network. It is the group that baked the Museum of Pizza idea. "Our approach to this Museum of Pizza is a fine art approach. So we went out to multiple artists contemporary in many mediums. We asked them for their interpretation of pizza," said Serio. "And what we got back ranges the gamut. Let's just say that. That's an understatement." The museum is located on the street level of Brooklyn's William Vale hotel. It is very large. It is a one-floor space. It houses a wide variety of art. The art ranges from giant photographs to sculptures. There are also large installations. All of the art pieces engulf visitors. The pop-up museum is also known as "MoPi." It has already drawn a lot of interest. More than 6,000 people came through the doors when they opened this month. Another instantly recognizable part of the space is the bright colors. These colors are weaved throughout the exhibits. They are perfect for taking social media-ready pictures. "Honestly, I thought it would be like more of a museum. Like at the beginning, I expected pizza boxes and it kinda tells you when it was developed and stuff like that." That's according to Nene Raye. She was visiting from New Jersey. "Then I was kinda hoping they had something artsy in it because I love taking pictures. So this is a mashup of everything. So you get a little bit of education and then some fun, which I love." Serio said selfie-friendly exhibits are becoming a priority for museums. They are trying to get younger legs to walk through their doors. "It's a kind of paradigm shift with museums," she said. "You'll see this in the next few years. That's because museums like the Museum of Ice Cream, and multiple pop-ups of this ilk, museums kind of courting a younger audience. They are trying to make their exhibitions more tactile, touch and photography friendly." Lydia Melendez is a self-described "pizza aficionado." She bought her tickets in April. The experience was worth the wait. Pizza is the hook that draws those interested to the museum. But the focus of MoPi is to expose visitors to the fine art world. Visitors can get an education fed one slice at a time. The pop-up museum costs $35 for adults. It is free for kids under 5. It is also free for seniors. It closes Nov. 18. What would you expect to see at a Pizza Museum? 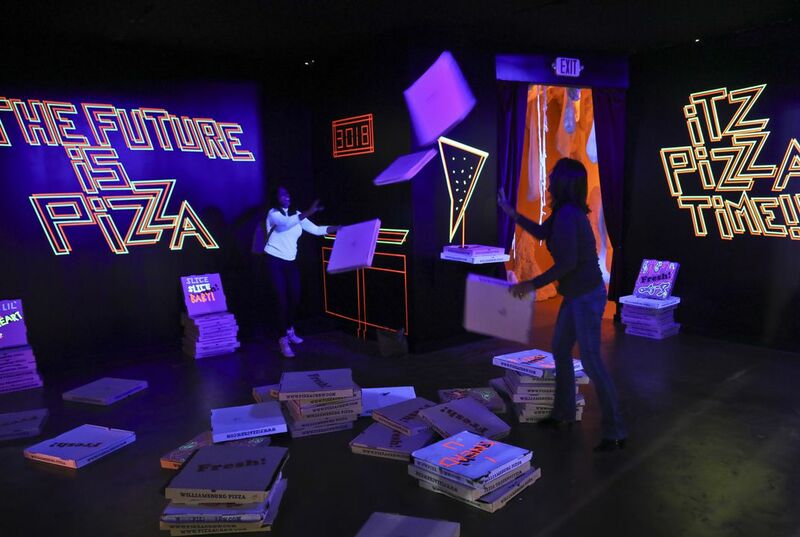 I like this article a lot because I like pizza and making a museum about it is very cool.I think that because I like museums that are focused on one thing and amuse focus on a thing I like is even better. I think that this article is very cool! I’ve never thought there would be a museum like this pizza one. PIZZA BECAUSE ITS A PIZZA MUSEUM. I would expect to see at a pizza museum art, sculptures, paintings,and activities for children.